Our need for connection goes from the cradle to the grave. 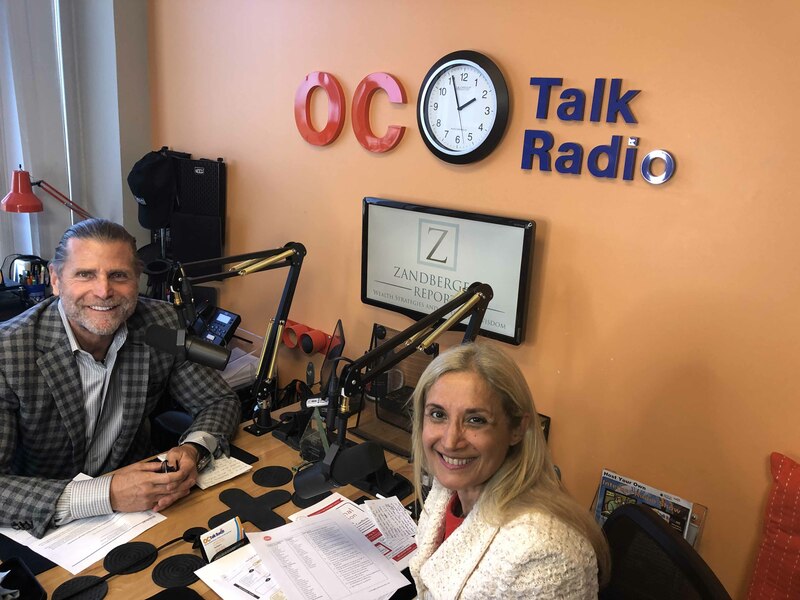 Dr. Lola Gershfeld, PSY.D, Founder and CEO of Level Five Executive, Inc., and a trusted authority in the field of emotional connection in business, joined Bart in the studio to discuss how to be more effective and influential while achieving new levels of success by mastering emotional connection. To learn more about Level Five Executive, please visit: www.LevelFiveExecutive.com. Tyler Mounce of Stark joined us in the studio to discuss myths, musts, and more when it comes to gaining a competitive edge in your personal fitness game. Graduating with a degree in biblical studies, Tyler actually discovered his passion for fitness while going to college and decided to pursue it instead. Bart and Tyler discuss why a 360 approach to looking and feeling your best is critical for results, and also debunk a few common fitness philosophies that are more myth than anything else. -How to accurately assess your true fitness level and overall health + metrics you should be using to evaluate it including things like blood chemistry, body composition, posture analysis, movement, and sleep digestion. -Why daily caloric intake is a crucial part of a diet plan. -How processed food can impact your results while whole foods are a part of fit living for all. Tyler notes that weight loss and fit living require intention and discipline. These two components are key to helping yourself get on and stay on track throughout the seasons. Colin Boyd, a respected international speaker and business mentor, joined Bart in the studio to discuss how to become an authority on influence, persuasion and communication. Relocating here to the USA from Australia with his wife and children, Colin has been able to bring his expertise to the masses through thought provoking coaching and training. From preparing to take the stage as a guest speaker to simply hosting a meeting or a Facebook Live Webinar, Colin shows people how to be effective, sell through serving and make the necessary mind shifts to go from good to great. - Understanding that speaking is selling- whether that is selling a specific idea, strategy or product. BlackRock is the world's largest asset management firm guiding individuals, financial professionals and institutions in building better financial futures. The firm has over 130 Billion in assets under management. Sean Carney, Head of Municipal Strategy for the BlackRock Investment Strategy Team joined Bart on air to discuss Municipal Bonds, the Salt State intricacies and his ultimate lesson learned thoughout his career. He is also a member of the firm's Investment Strategy Team, a Seven-member committee led by Peter Hayes and tasked with setting the strategic direction of BlackRock's tax-exempt product suite.Mr. Carney has 16 years' experience in the industry, having joined BlackRock in 2007 as a municipal bond trader on the Private Investor platform and previously working as a municipal bond broker at Chapdelaine & Co. in New York City. In 2017 Mr. Carney received recognition as the industries top Municipal Strategist by Smith's Research and Grading covering over 80 buy-side and sell-side firms. Mr. Carney holds a bachelor's degree from Moravian College and served six years as an infantryman in the U.S. Army National Guard. Bart and Letitia were back in the studio for another episode of "what keeps you up at night". In this episode, Bart and Letitia discuss how to turn retirement planning into financial independence. As a society we are living longer. 50 years ago we were living to 65/66 years of age. Today, the average life expectancy is 82-85 years of age. Especially as we are living longer now, smart planning is more pivotal than ever. Fun Fact: Letitia shares that in a recent study, its states that people who have children live longer. This is said to be true because individuals who have children tend to experience more social interaction and have children and grandchildren to care for them later in life. -Why planning for your retirement now creates the financial independence you desire in the future. -How understanding and planning for inflation can create a realistic view of how long your financial resources will last. -The transition period from retirement to the life beyond and how different (and refreshing) that view can be through proper planning.